Woolf & Nachimson, LLP is a full-service boutique law firm whose practice areas span a wide variety of legal areas, with a special focus in the areas of patent, trademark, copyright, business, labor and employment, bankruptcy, products liability, professional liability, real estate, construction, outsourcing, franchising, licensing, and civil litigation in all of these focus areas in state and federal courts as well as administrative agencies. The Firm was founded on the basic principal of providing its clients with the highest level of legal services at reasonable and cost-effective rates. Our Firm’s attorneys are graduates of top tier national law schools and were formerly associated with large prominent international law firms. With an emphasis on open communication with clients and quick response times, the utilization of advanced, innovative technologies along with constant attention to detail, the Firm prides itself on achieving a clear understanding of our clients’ needs and formulating efficient and productive legal strategies to meet the needs of our clients. 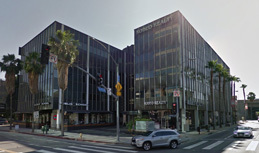 The Los Angeles office of Woolf & Nachimson, LLP is strategically located to serve a wide variety of business, intellectual property, entertainment, real estate, and banking customer bases, among others. Through the Los Angeles office, the firm’s attorneys regularly appear before State and Federal Courts throughout California, including extensively in Los Angeles, Orange County, Santa Clara County, San Diego, and San Francisco. From Los Angeles, the firm’s Nevada-licensed attorneys also represent clientele in Nevada. Woolf & Nachimson, LLP’s attorneys in Los Angeles are active in the legal and business communities and are regularly involved in community activities.